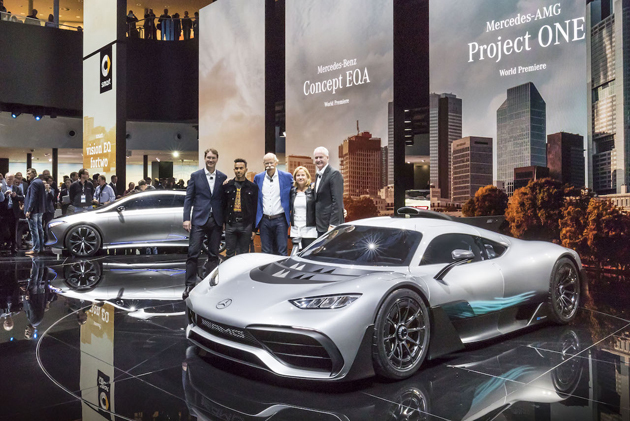 All in all, Mercedes-Benz Cars delivered and showed around 100 vehicles in Frankfurt, among them several world premières of innovative concept cars. 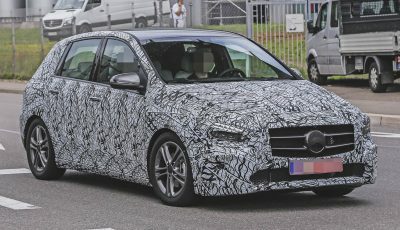 Mercedes-Benz showed its ‘might’ and reinforced its ambition to help shape the mobility of tomorrow with a range of new and exciting vehicles to cater to all needs. From a hypercar sharing almost 100% F1 racing technology, to a self driving Smart pod with no steering wheel. With the Mercedes-AMG Project ONE the sports car and performance brand is celebrating the highlight of its 50th anniversary. 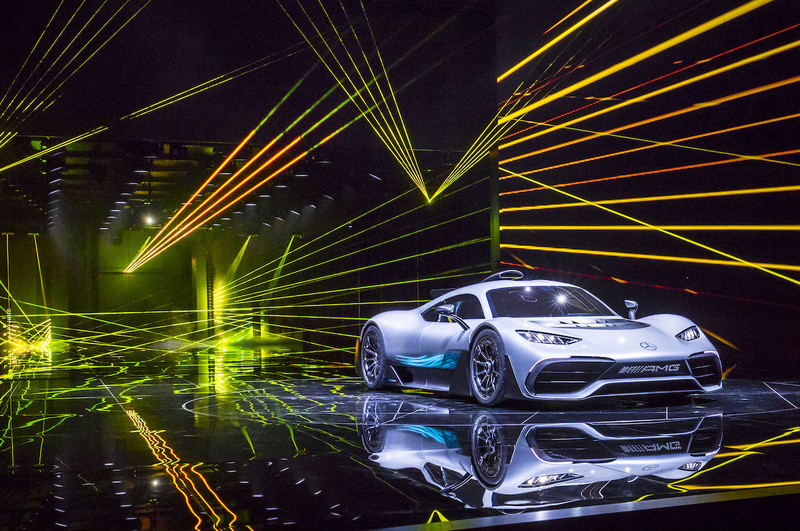 This hypercar with Formula 1 hybrid drive technology points the way to AMG’s “Future of Driving Performance”. 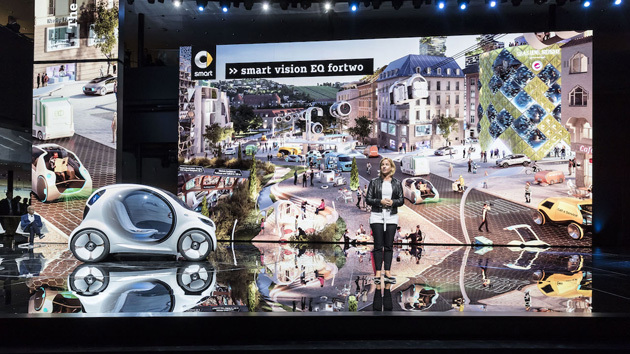 A new smart showcar showed an intelligent solution for shared urban mobility. 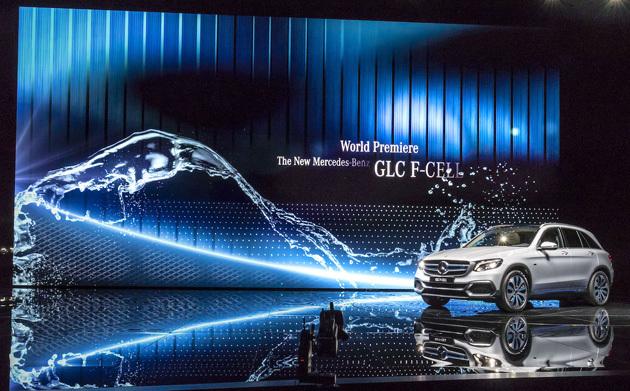 Further outlooks on the full electrification of the portfolio are provided by a concept car in the compact car segment and the GLC F‑CELL, a pre-series model with fuel cell hybrid drive. 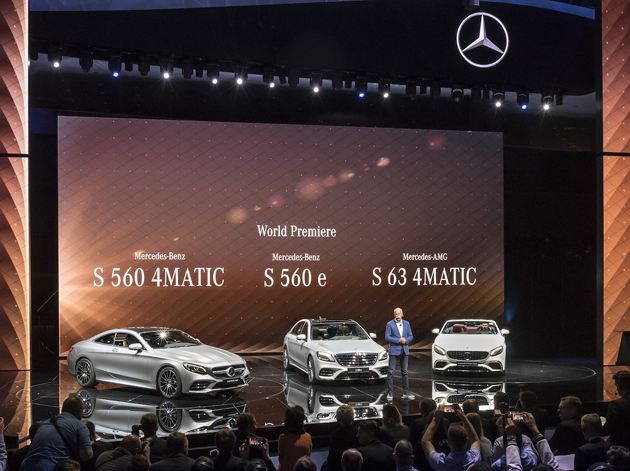 Also celebrating their world première at the show were the comprehensively updated S-Class Coupé and S‑Class Cabriolet in both the standard and AMG versions, which rounded off the model range. 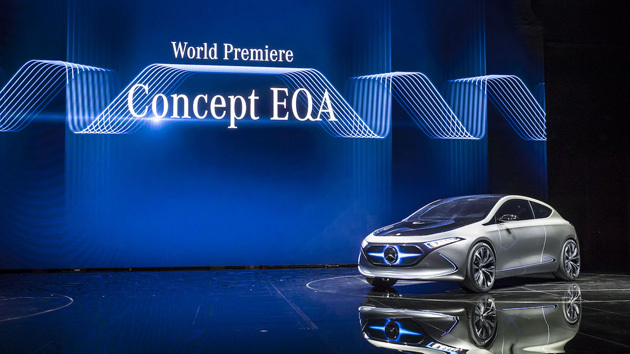 A further Mercedes-Benz world première will be the first, fully electric EQ concept vehicle within the compact car segment. 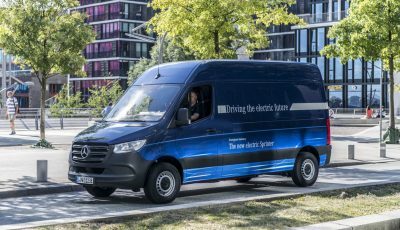 With its “EQ” brand Mercedes-Benz will in future also offer compact vehicles with electrically driven power units to consequently make electromobility available for an important target group. 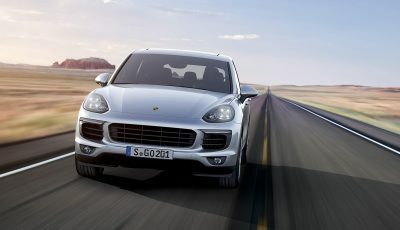 A fuel cell plug-in hybrid vehicle will also make its first ever appearance at the event. The Mercedes-Benz GLC F‑C ELL combines practical advantages such as a long range and short hydrogen fuelling times with locally emission-free driving. Also having their debut in Frankfurt are the comprehensively updated S‑Class Coupé and S‑Class Cabriolet in the standard and AMG versions. 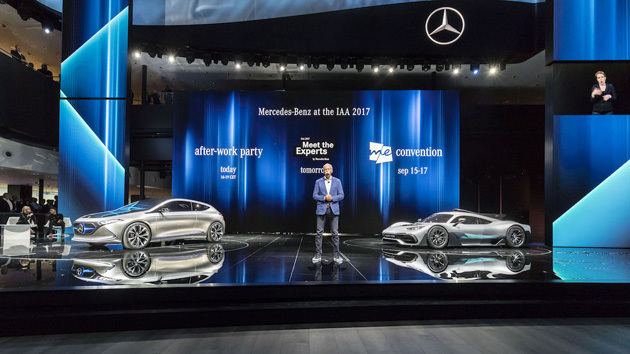 The Mercedes among pick-ups is celebrating its public première at the IAA show. The Mercedes-Benz X‑Class combines the typical attributes of a pick-up robust, functional, durable, and suitable for off-road driving with the classic strengths of a genuine Mercedes design, comfort, driving dynamics, and safety. With its SUV design as a hallmark feature of the brand, the X‑Class fits smoothly into the Mercedes-Benz portfolio. The bulls take charge at Sant’Agata Bolognese/Nürburg, September 16, 2017.